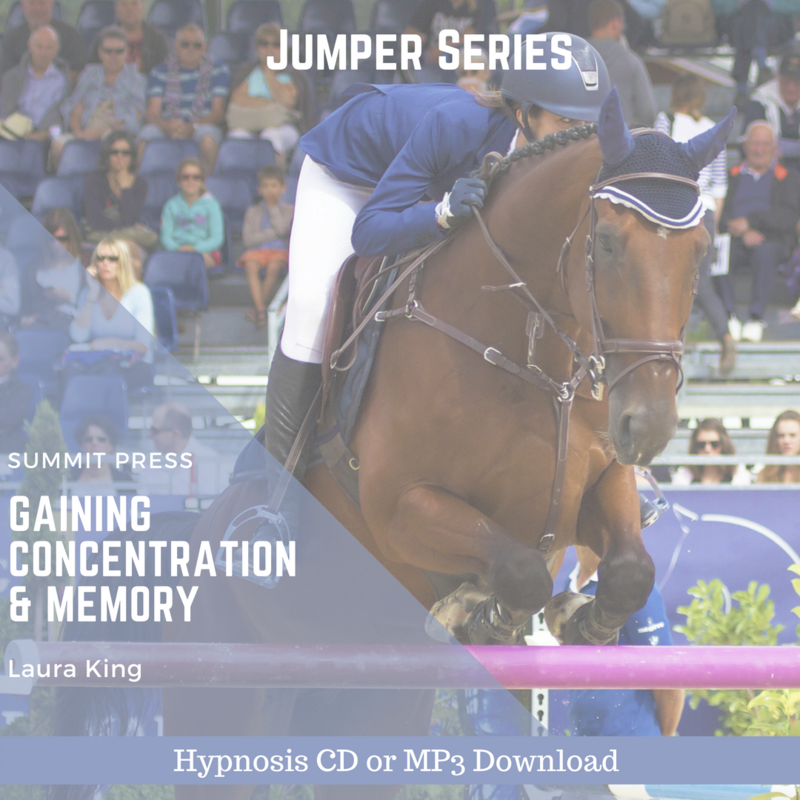 Laura’s Gaining Concentration and Memory for the Equestrian Jumper self-hypnosis will teach you to focus by improving your power of concentration at a deep subconscious level. As you become more self-aware and self-disciplined, you will place yourself in a zone to perform at your very best – every time! Equestrian Jumpers, become more successful in lessons and in the show ring by increasing your concentration and improving technique. Laura’s Gaining Concentration and Memory for the Equestrian Jumper self-hypnosis is designed for training your mind to prepare for a good ride, where distractions inside your head are non-existent and outside distractions do not register. As you listen to Gaining Concentration and Memory for the Equestrian Jumper self-hypnosis repeatedly, you will become more consistent every time you ride as you gain control through increased self-discipline, self-awareness, and concentration. You will learn to place yourself in a zone to perform at your very best! Start listening today with our easy to download MP3 of Gaining Concentration and Memory for the Equestrian Jumper self-hypnosis.